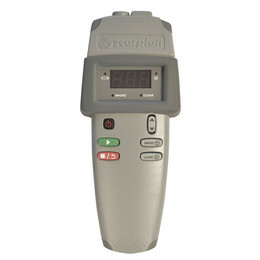 The Scorpion Engineers Portable Controller is for use with the Scorpion Hard-To-Access range of testing equipment. The controller is plugged in to a Scorpion access point to test the Point or ASD head units in a remote location. The Engineers Portable Controller comes with the Scorpion Access cable, and the Battery Baton Cable included. The Engineers Portable Controller is a simple and effective way to stop outside access to the testing equipment, and a quick and effective way to test hard-to-access detectors.